New Year doesn't really begin if not inaugurated by vivacious polkas, marches and splendid waltzes. All around the world, music ensembles, small and big orchestras prepare a special programme for their audiences. On Thursday 31 December, the Cairo Opera House and the Bibliotheca Alexandrina will give special New Year concerts to its audiences in Cairo and Alexandria respectively. The Cairo Symphony Orchestra will be conducted by Marcello Mottadelli and the soloist of the evening will be soprano Veronika Groiss from Belarus. 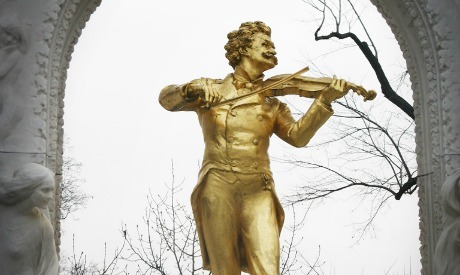 The concert will include famous compositions by Strauss family, Franz Lehár and Emmerich Kálmán, among others. The event will be repeated in Alexandria on 1 January 2016. In Alexandria, the Bibliotheca Alexandrina Orchestra will be conducted by Nayer Nagui. The evening will be joined by Jordanian soprano Dina Bawab and will also include famed compositions performed during the New Year's celebrations by Strauss, Lehár and others.